Nice 2 bed, 2 bath ground floor unit in secue complex! 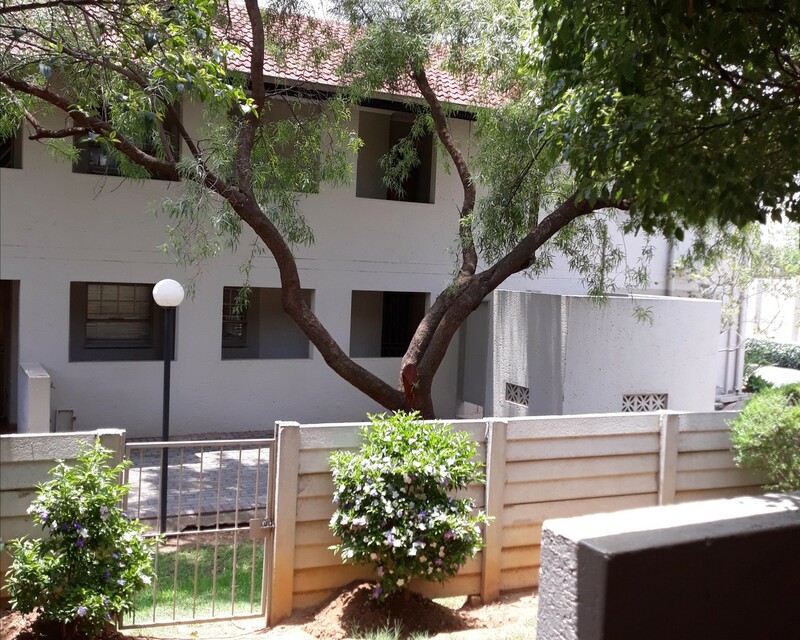 This nice unit offers tiled open plan living area and kitchen, door to quaint patio and fence garden, 2 carpeted bedrooms, 2 bathrooms (main en suite with shower, toilet and basin and 2nd bathroom with bath, toilet and basin), secure covered carport and visitors bay, pool in secure complex. Regrettably no pets.